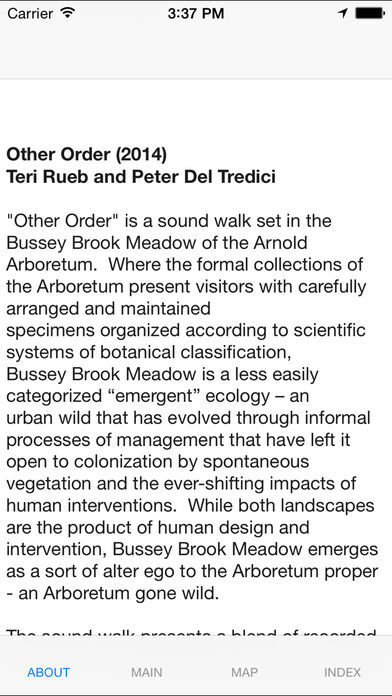 "Other Order" is a sound walk set in the spontaneous landscape of Bussey Brook Meadow at the Arnold Arboretum of Harvard University. 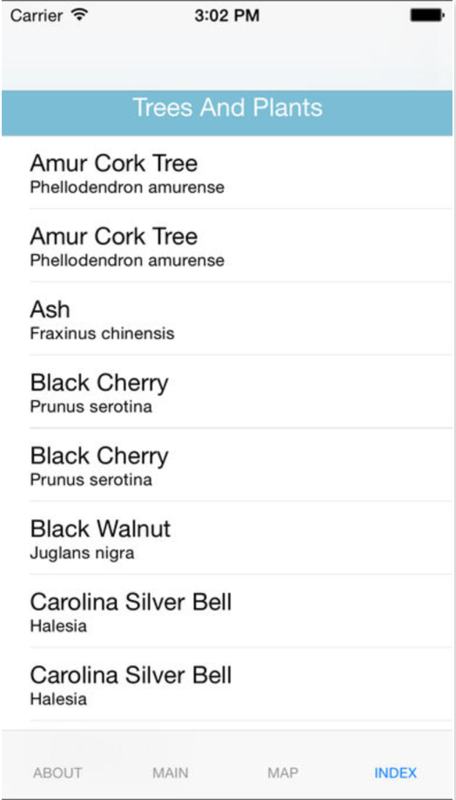 Where the formal plant collections of the Arboretum present visitors with carefully arranged and maintained specimens organized according to systems of botanical classification, Bussey Brook Meadow is a less easily categorized "emergent" ecology -- an urban wild that has evolved through informal processes of management that have left it open to colonization by spontaneous vegetation and the ever-shifting impacts of human interventions. 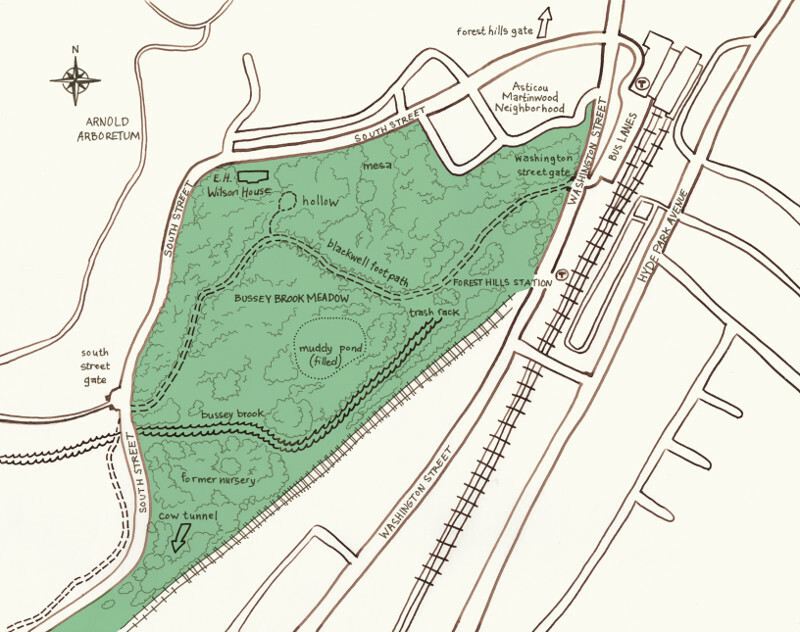 The sound walk presents a blend of recorded conversations and sounds drawn from and inspired by the landscape itself. 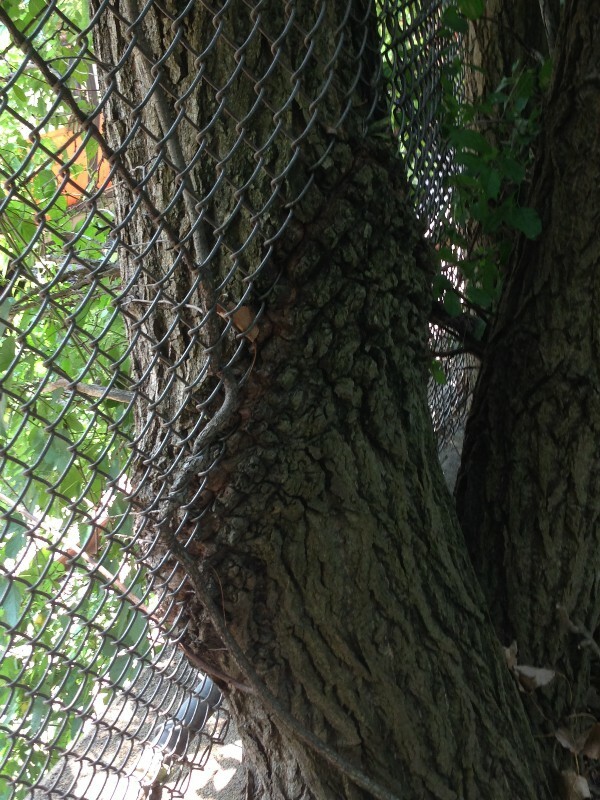 Resilience is the hallmark of such emergent ecologies, as illuminated by the voice of the Arnold Arboretum's retired Senior Research Scientist, Peter Del Tredici, as he accompanies a variety of guest visitors on walks through the meadow. 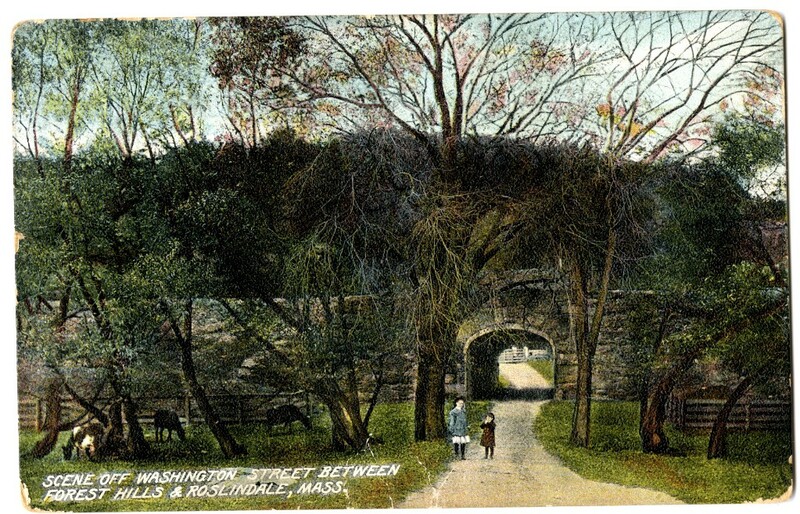 The tracts that make up the contemporary Bussey Brook Meadow parcel have been owned and governed by disparate parties since the 1600s, including private farmers and residents, Harvard University, the Bussey Institute and the City of Boston. 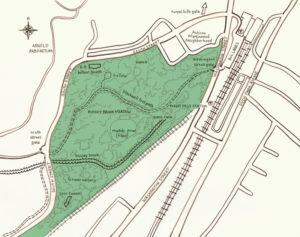 Designated as an "urban wild" in the 1970s and later brought together as a unified parcel, the site was incorporated into the Arnold Arboretum indenture in 1996. 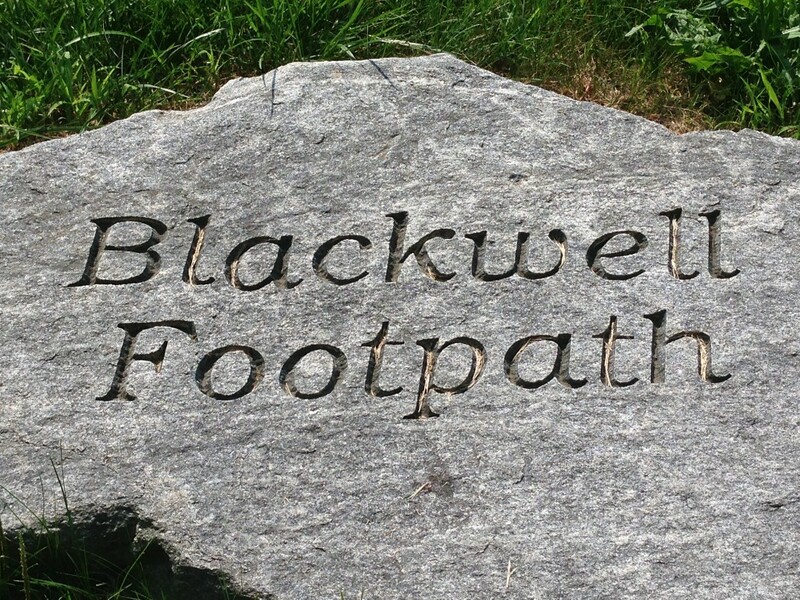 To link the Arboretumâ€™s historical landscape and Forest Hills Station, the Blackwell Footpath opened in 2001, named after urban planner John Blackwell who dedicated over 30 years to the preservation of Boston urban wilds. 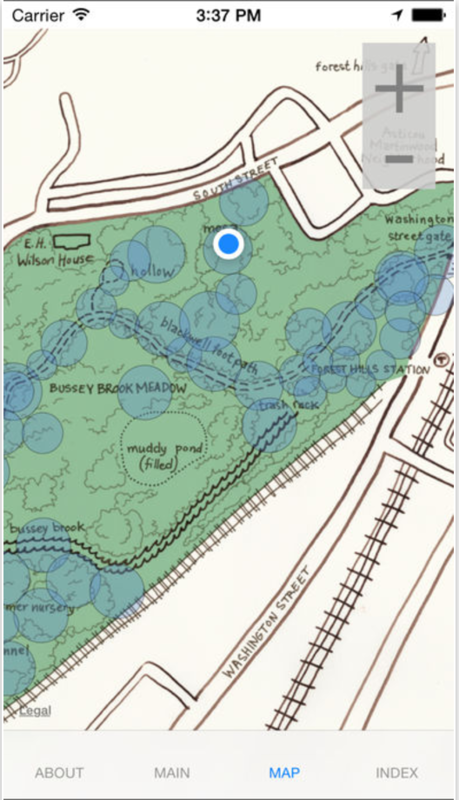 Bussey Brook Meadow is now managed as a living laboratory for urban ecology. 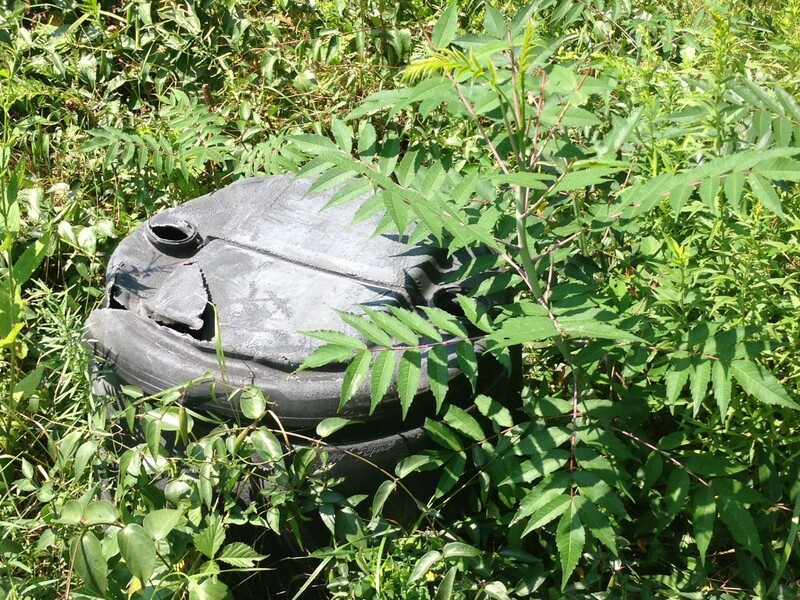 It is a site where human interventions including agriculture, landfills, sewer and transportation corridors interact with biological processes, and together they are allowed to run their "natural" course. 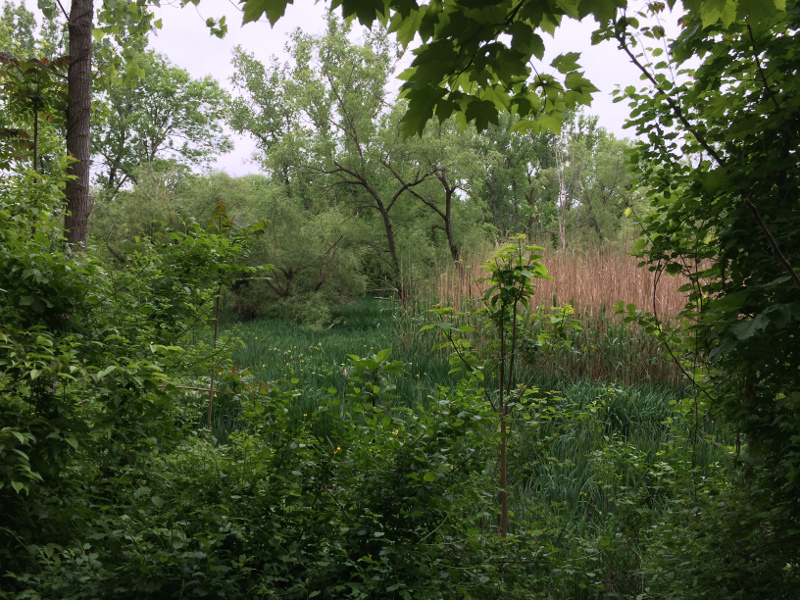 Despite a long history of abuse and neglect, the site has evolved to its current state as a functional urban wetland. The careful observer will be rewarded with discoveries both delightful and perhaps disturbing in this "Arboretum gone wild." 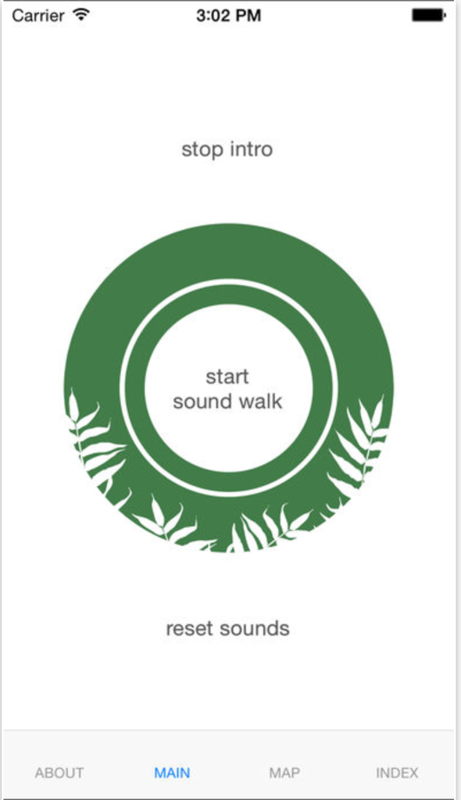 The sound walk is a GPS-enhanced software application that senses the participant's movement and location in the landscape and in response, plays back sounds at specific points through the landscape. Visitors are encouraged to download the app in advance of their visit and wear headphones for optimal listening. Please be mindful of bicyclists and other pedestrians on the trail. Other Order was funded with a generous donation by Janine Luke in memory of Melvin Seiden. 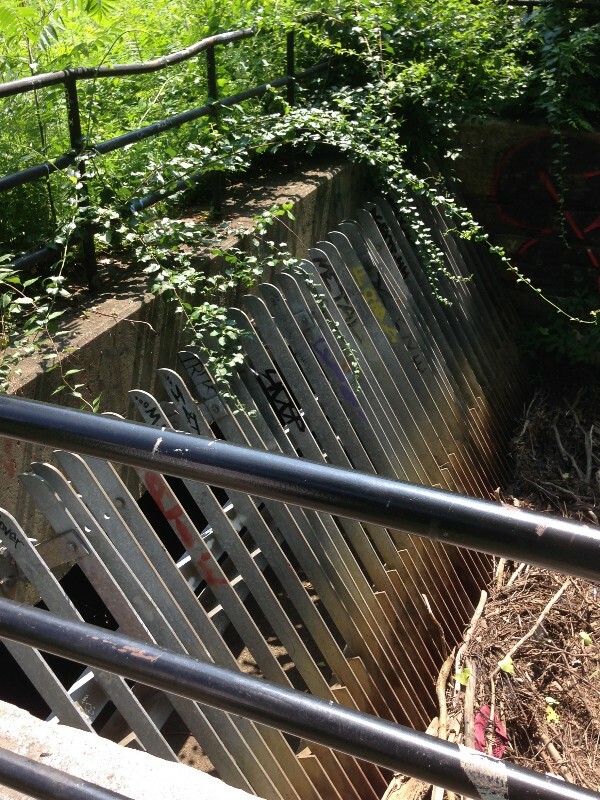 The project was commissioned by the Arnold Arboretum / Harvard and funded with an Artist Residency at the Harvard metaLab. In-kind support was also offered by Nashid Nabian and Barbara Elfman. 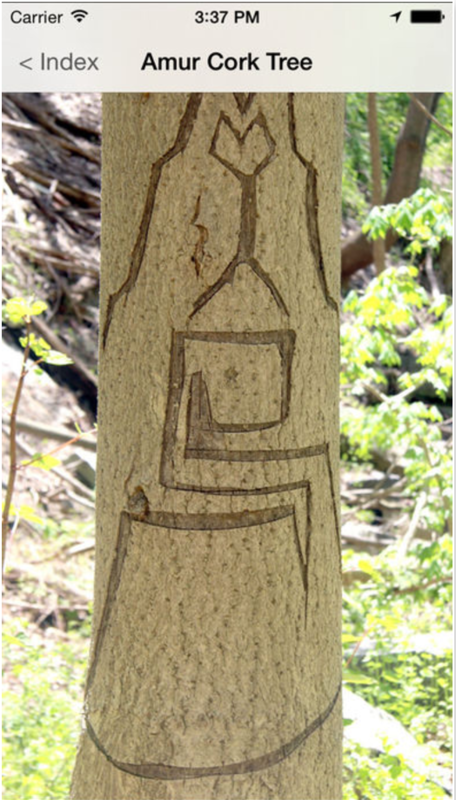 Nina Brown, John Lee, Jim Papagiris, Nima Samimi, Maggie Redfern, Lucy Huytera, Steve Decini, Matthew Battles, Kyle Perry, Bob Meyer, Genie Beale, Richard (of the Bussey Brook Meadow), Ned Friedman, Anya Yermakova, Susan Hardy Brown, and Ailene Ettinger. 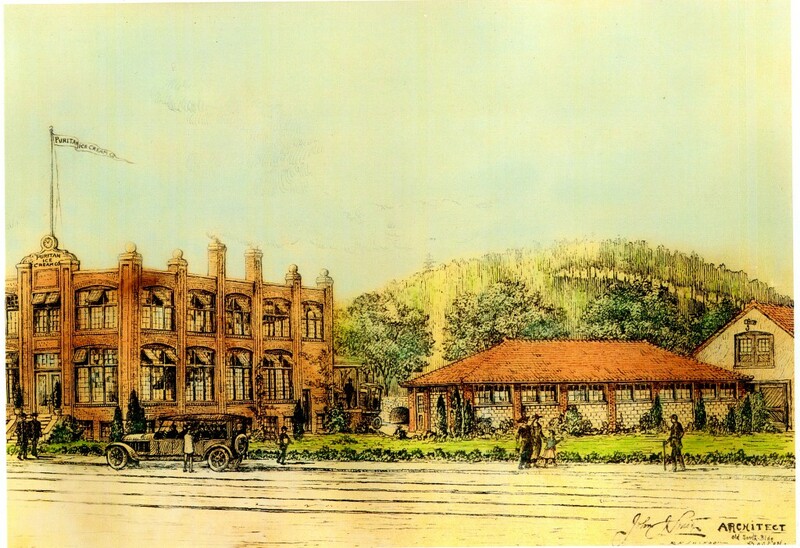 The Park Conservancy has also graciously supported this project from its inception.